Obviously you can trace mobile games back to the earliest mobile phones, but mobile games didn't really take off until Nokia launched Snake. 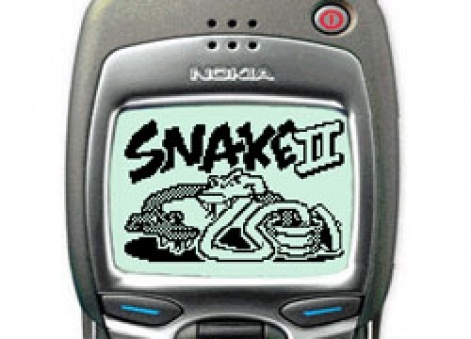 Still the most famous mobile game, Snake first appeared in 1997 on the Nokia 6610. It has been estimated that over 400 million copies have been shipped since and it's now in its eighth version. Not bad for a game that started life as a some black squares moving on a green background. Now Snake was all very well and good, but if mobile games were to really progress, you needed a way of buying new games. 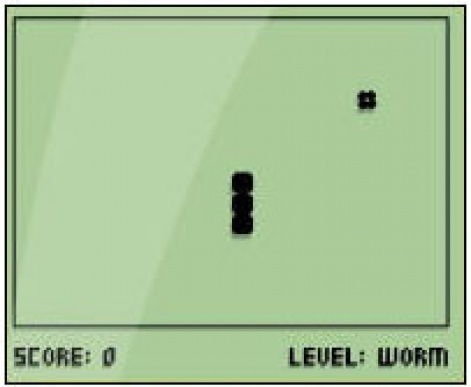 If Snake and those early embedded versions of Tetris and the like were Generation One of mobile games, the next step something we will call Generation Two  were WAP games. Officially known as the Wireless Application Protocol, WAP is a technology standard developed to enable mobile devices to connect to the internet. The company that did the most to develop this was called Unwired Planet, although it took it a good few years to come up with anything very useful. But by the late 1990s, it had created a microbrowser that could run on mobile phones and a version of the web it called UP.Link. Together with Ericsson, Nokia, and Motorola, the WAP Forum (now the Open Mobile Alliance) kicked off, ensuring standardisation, at least in Europe. In Japan, market leading operator NTT DoCoMo came up with its own i-mode standard instead. Back in 1999, the web was a much simpler place - no Facebook, YouTube, MySpace, Flickr or Twitter. In the end though, these were both roughly the same thing  a small web browser built into the phone that allowed you to connect to a server and transfer data to your phone. Of course, back in 1999, the web was a much simpler place  no Facebook, YouTube, MySpace, Flickr or Twitter  and lots of people still hadn't fired up their modems and dial-up connections to use the Information Superhighway to which Al Gore had just put the finishing touches. Hence, the idea of surfing it on your phone sounded incredible. UK operator BT Cellnet (now O2 UK) got very excited about this too, with its 'Surf the BT Cellnet' adverts giving a vivid impression of what using WAP would be like  quickly moving through a Matrix-like world overflowing with interesting information. Unfortunately, the reality was four lines of black text on a green background and  if you were lucky  some simple monochrome graphics. Still, this might not have been such a problem if people had wanted to do what Unwired Planet envisioned they would with WAP. Looking up the price of your shares might have been the big thing in 1999 for everyone at Phone.com (by then the newly renamed and IPO'd Unwired Planet), but the rest of the world wanted to do fun things on their fancy new Nokia 7110s, which incidentally as well as being the first Nokia phone with a WAP browser, also was the first to feature Snake II. WAP created the basic ecosystem that would allow developers to make games and sell them over-the-air to willing mobile players. So it was that game designers started to think about what they could do with WAP. As a connected technology, one nice aspect was that handling multiplayer games was relatively simple, especially board games such as Noughts and Crosses, and Connect Four. Other obvious tie-ins were turn-based games as you could run the actual game on a server and use WAP to send information back and forth as the user requested. What you couldn't do however was fast action so WAP Snake II was a non starter, although 7110 owners could play a local two-player version using their phones' nifty infra-red connections. Neat. 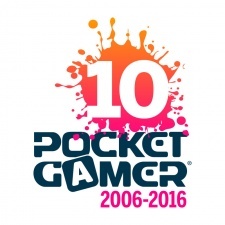 The bottomline, however, was that as much as we look back and laugh at the early hype, combined together, mobile phones and WAP created the basic ecosystem that would allow developers to make games and sell them over-the-air to willing mobile players. All it now needed was billions of dollars of venture capital money, some bright ideas, and some very big servers and we would all be happily playing games on our mobile phones. The world really did look bright as the 20th century drew to a close. After 12 years in the games industry, the last eight as head of production at I-play, Chris Wright finally escaped. He now runs his own consultancy focusing on casual games. He can be contacted at chris [at] gamesconsultancy.com. All opinions expressed are the author's own. After 12 years in the games industry, the last eight as head of production at I-play, Chris Wright finally has escaped. He now runs his own consultancy focusing on casual games. He thinks his greatest achievement is being called a 'veteran of the mobile games industry'. His greatest regret is not completing Gears of War, even on the easiest setting. Imy trying to find the name of a cell game I played around 1997 probably not around anymore. It started with a C. It had fishing game, pyramid game raising pets(dogs, fish, cat some, snakes, other premium pets) farming. There were special events during the holidays. The name is really bugging me. Any thoughts?